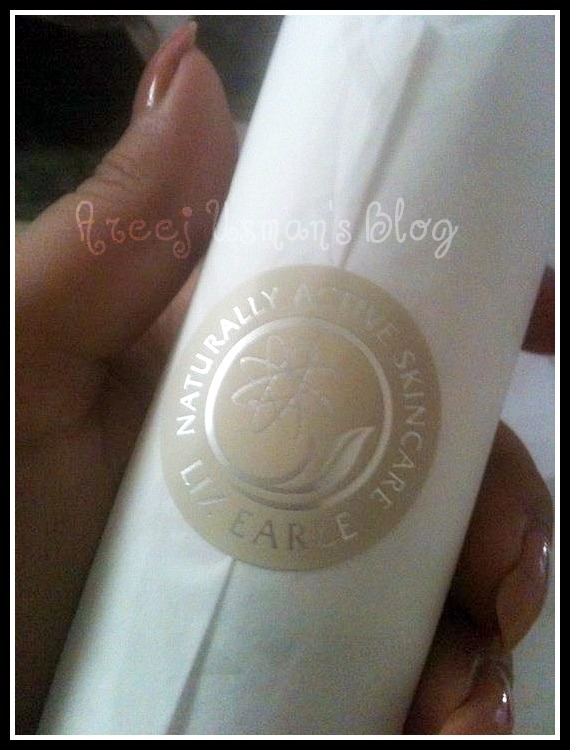 Today I have another product all set for review belonging to my favourite skincare line.Yes you are very right.Its a Liz Earle product.I received the Liz Earle’s Gentle Face Exfoliator in my mail couple of weeks ago for review purposes. Problem: blocked pores, blackheads, congested or flaky skin.Solution: gently exfoliate to buff away dead skin cells and impurities for smoother, clearer skin. Containing purifying eucalyptus, softening cocoa butter and fine jojoba beads. The face exfoliator came wrapped in the usual Liz Earle wrapping style.The wrapping sheet along with the Liz Earle sticker on top.The handwritten note along with the product adds the beauty to each Liz Earle parcel. At the first glance the face exfoliator closely resembles the HOT CLOTH CLEANSE AND POLISH Cleanser.Its pump shaped bottle is exactly like this exfoliator’s pump bottle.Though this is the first exfoliator that I have seen coming in this shape.Usually face exfoliators and scrubs come in those long squeeze tubes.But this type insures any accidental spills etc. 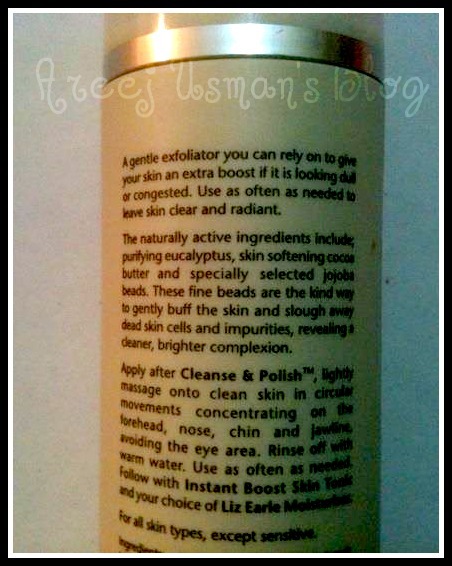 I used this exfoliator every twice to thrice on a weekly basis after the cleanse & polish cleanser because it is instructed that we apply the exfoliator after the cleanser followed by the toner and moisturiser. The texture of the face exfoliator is thick and creamy with the tiny jojoba beads hidden inside.We actually cant see the beads but can feel them once we start to work the exfoliator on the skin.Generally while using exfoliators or scrubs its instructed to work the scrub into a lather with the help of some water but with this Liz Earle exfoliator there is no instruction to use water.Simply I massaged the exfoliator onto the skin in small circular motions. 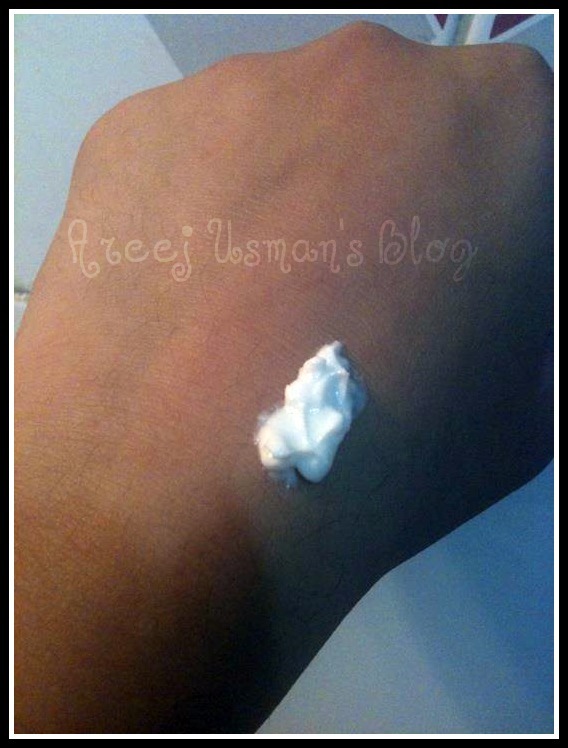 The scent of the exfoliator is very tingly just like a spearmint gum.It actually refreshens the mind and the senses giving an all over refreshing effect. This 70ml pump is available for ₤13.00.If you want to try the product you have two other options.You can also get the 50ml tube for ₤9.25 & another 15ml tube for ₤5. Totally recommended as none of the Liz Earle products have disappointed me uptil now.They are just fabulous with all the natural ingrediants helping your skin get better after every use. 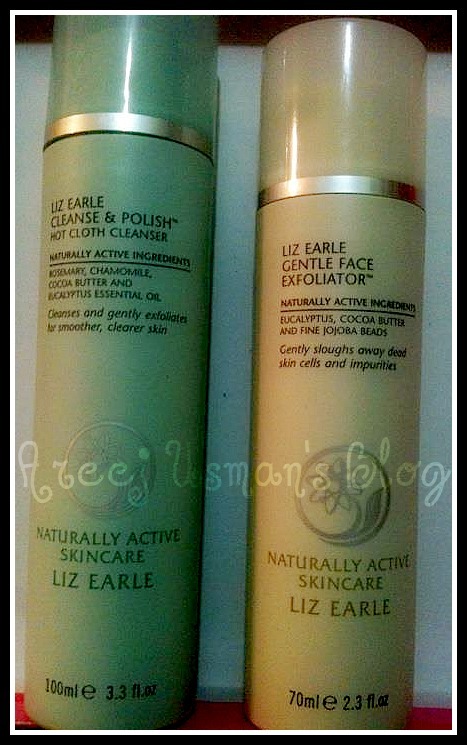 If you want to check my other reviews on Liz Earle products click the Liz Earle tab at the bottom of the post. it doesnt hv any beads? btw how are the palladio pencils? Great review. 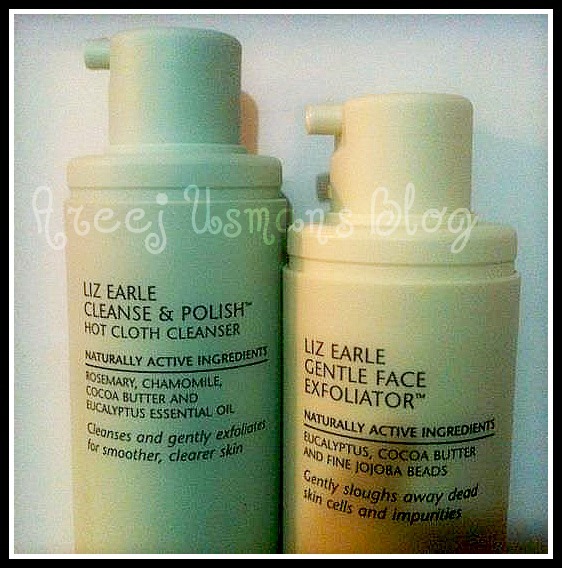 I wish we could get Liz Earle here in Pakistan! Nice also yes if there are cosmetic products?